Some of you may remember a short while ago completing our ‘Video Game survey’, we asked the question “What video games are you looking forward to in 2013?” Thanks to your answers we can now reveal that 55% of you, like us, can not wait to play Grand Theft Auto V (known to some as Grand Theft Auto 5) come (17th) SEPTEMBER 2013. Please note: The date was originally due for release either 15th March or 17th May, with us being informed sometime in ‘Spring 2013’. Grand Theft Auto and Rockstar games announced yesterday, 31st January 2013, the release date has been pushed back a few more months. This unfortuantly means we do have to wait a little longer and by then we will all be saving our money for either the new Xbox720 or PS4…we can’t help but wonder if this change in date does have a connection with the consoles release date. If you have never played a Grand Theft Auto game before and you are interested in playing here is a little background information to fill you in. Enjoy. Grand Theft Auto is a game series developed by Rockstar North (formerly known as DMA Design) and published by Rockstar Games. Which fits into three different video game genres action-adventure, open world and crime. In a nutshell the objective of the games is to steal cars. All GTA games are essentially known as a “sandbox game” the player can not only create how they play but they have tools to modify the world them. Having this “free-ability” does not occur often in the world of video games. You have the opportunity to drive around in some very stylish modern cars. It is the missions, the rare cars and the map (by itself has a reputation for having one of the largest open world maps)which keeps its players hooked and returning for more. This is a video game which appears realistic, even though the cities are fictional, the characters and its own universe appear genuine to the player. Grand Theft Auto, with expansion pack London, 1969 (also a London, 1961, edition). Grand Theft Auto 2, III, Vice City, San Andreas, Liberty City Stories, Vice City Stories, IV, The Lost and Damned, Chinatown Wars, The Ballad of Gay Tony, Episodes from Liberty City. This is clear that the map, which will be surrounded by water and countryside (one screenshot on the GTA website shows a person close to shark, this hints at the Ocean now being open for players), will once again not disappoint. There are also rumors suggesting we could see a 32 person multi-player for consoles, however there will be no co-op. Xbox 360 and PlayStation 3 release is confirmed with a possible Wii U and PC release. It is available to pre-order now for Xbox 360 and PS3. If you can not wait for the game then this is a must! Grand Theft Auto would just not be the same without its vehicles ..in fact then the game might just be called theft or grand theft…but then how would people escape from the police so easily? Essentially vehicles are the essence of the game, they are characters within their own right. Below are a list of cars you can see just while watching the trailer, click on the trailer link at the end of this post and see how many you can spot. Grand Theft Auto is essential for any gamer. You can steal cars, fly helicopters, ignore the law and get away with crime, or at least try out run the police, be the old styled gangster you may have once dreamed of becoming. After all it is much better to do these things in the game and vent any anger you may or may not have rather than real life. Remember that! Choosing between carrying out missions or the freedom of doing anything you want in a big city which GTA V presents to us will show just how much the series have improved. This is a bold direction so prepare yourself for new missions, new adventure and more fun in the latest chapter. Collider (2012) GRAND THEFT AUTO 5 Release Date and Images . [online] Available at: http://collider.com/grand-theft-auto-5-release-date-images/219817/ [Accessed: 20 Jan 2013]. Complex Gaming (2012) “Grand Theft Auto V” Multi-player Aims to Redefine Your Definition of Open-World Games. 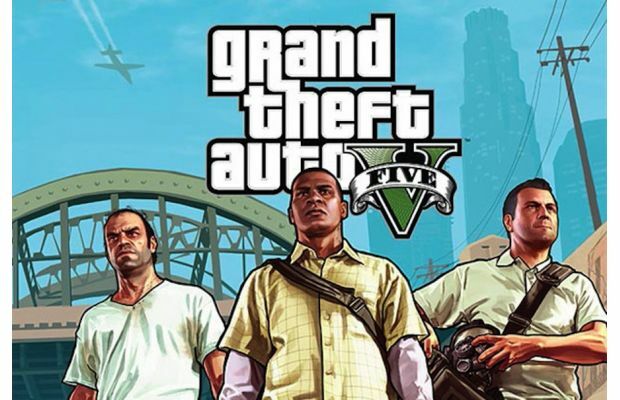 [online] Available at: http://www.complex.com/video-games/2012/11/grand-theft-auto-v-multi-player-aims-to-redefine-your-definition-of-open-world-games [Accessed: 20 Jan 2013]. Game (n.d.) Grand Theft Auto V. [online] Available at: http://www.game.co.uk/en/grand-theft-auto-v-136366#details [Accessed: 20 Jan 2013]. Gamespot (2013) Grand Theft Auto V. [online] Available at: http://uk.gamespot.com/grand-theft-auto-v/ [Accessed: 20 Jan 2013]. Grand Theft Auto V Trailer (2013) Grand Theft Auto V. [online] Available at: http://www.rockstargames.com/V/videos/video/10261 [Accessed: 20 Jan 2013]. IGN (2013) Vehicles – GTA 5 – IGN. [online] Available at: http://uk.ign.com/wikis/grand-theft-auto-5/Vehicles?objectid=20593 [Accessed: 20 Jan 2013]. Rockstar Games (2011) Grand Theft Auto: The Official Site. [online] Available at: http://www.rockstargames.com/grandtheftauto/ [Accessed: 20 Jan 2013]. Softpedia (2012) PC Version of Grand Theft Auto V Leaked by Retailers, Out on December 15 . [online] Available at: http://news.softpedia.com/news/PC-Version-of-Grand-Theft-Auto-V-Leaked-by-Retailers-Might-Come-Out-on-December-15-322627.shtml [Accessed: 20 Jan 2013]. T3 (2013) GTA 5 screenshots revealed ahead of release date. [online] Available at: http://www.t3.com/news/gta-5-screenshots-revealed-ahead-of-release-date [Accessed: 20 Jan 2013]. Trusted Reviews (n.d.) GTA 5 release date leaked by retailer as March 15. [online] Available at: http://www.trustedreviews.com/news/gta-5-release-date-leaked-by-retailer-as-march-15 [Accessed: 20 Jan 2013]. This entry was posted in Gaming, Special report and tagged cars, furegames, future, futuregaming, gamer, gamerblog, gamespot, gamewebsite, Gaming, gamingblog, gamingconsole, geek, grandtheftauto, grandtheftauto5, grandtheftauto5logo, grandtheftautov, grandtheftautovreleasedate, grandtheftreleasedate, gta, gta5, gtalogo, gtatrailer, gtav, helicopters, ign, ignwebsite, lossantos, microsoftxbox, newdate, newgrandtheftautoreleasedate, newreleasedate, pc, pcgaming, planes, playstation, playstation3, playstation4, ps, ps3, ps4, rockstar, rockstargames, rockstarnorth, sanandreas, sony, sonyplaystation, trailer, vehicles, videogame, videogameblog, videogameconsole, videogamer, videogamersblog, videogames, wiiu, xbox, xbox360, xbox720. Bookmark the permalink. Thank you for your comment, feel free to check back for more updates and to share this site with your friends. We’ve just updated this post to include the new Grand Theft Auto V release date. I will wait for Nintendo Wii and PC platforms version. I am sure there will be a release on this matter soon. Ich habe online mehr als 2 Stunden gesurft ,aber keinen Artikel gefunden, die so interessant wie deine sind. Das ist echt toll fuer mich!